A body treatment that actually works! ABE offers the only patented body treatment technology that produces immediate results without the need for invasive surgery. By combining 3 modalities, your clients will experience a loss of inches, a loss of cellulite and the toning and lengthening of muscles. The best part is the treatment is as relaxing as a deep tissue massage with many times the benefits. The best part is you and your clients will no longer have to deal with messy wraps or wait for other treatments that produce little to no results. 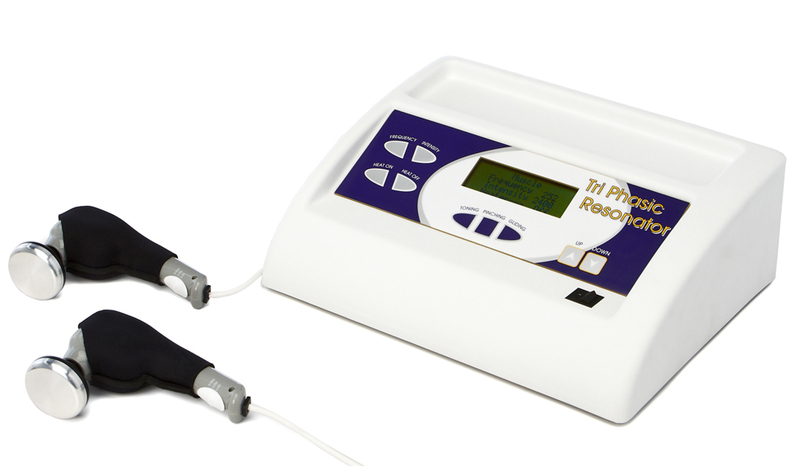 If your clients are committed to a lifestyle change, the TPR is the best spa technology to start the process. The Tri-Phasic Resonator is a process which utilizes mild electrical frequencies in conjunction with heat and vibration to minimize fat. Clinical studies have indicated that the Tri-Phasic Resonator is beneficial for both cellulite reduction and muscle toning and re-education, which produces a loss of inches as well as firmed and defined muscles. The results are similar to liposuction, but without the risks of surgery or the high cost. This is a non-invasive procedure performed by qualified technicians. Treatments are pleasant, and measurable results can be seen immediately. Procedures are safe, efficient and painless. Clients leave feeling a tone to their muscles as though they have just lifted weights. Most clients require one to two treatments per week for three to six weeks depending on individual conditions. There are no side effects to the procedure. The treatment itself is a hands-on procedure by the technician and takes about 10 – 12 minutes per area. Average income is $65 – 95 per zone. The waist, thighs, and legs combined (the most popular combination) runs anywhere from $165 – $200. Average loss is two inches per area in six treatments. The TPR has undergone several studies with astonishing results, far surpassing any procedures or systems previously developed. The process is painless and comfortable, and produces noticeable and measurable results from the first treatment in addition to providing cumulative benefits. The TPR incorporates three compatible modalities: Heat, Vibration, Electrical Force. Each modality encompasses its own distinct functions. Heat: Improves the circulatory system, opens superficial capillaries, and re-establishes vascular flow. Discourages fat-cell buildup in areas of restricted circulation, generally produced by tight, restrictive clothing or jobs that require prolonged sitting. Vibration: Assists with the movement of fluids and increases the penetrability of the electrical current into deeper dermal layers. Improves osmotic action helping to remove toxins from the body. 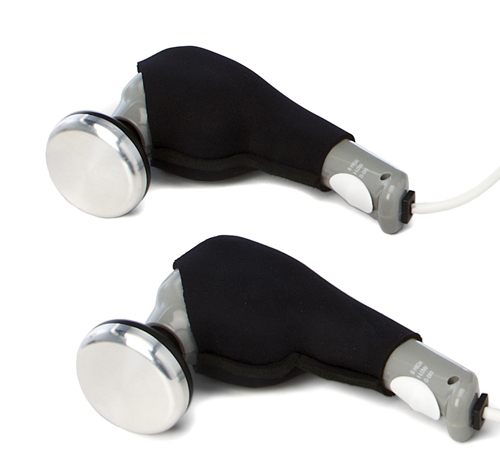 Electrical Force:The vibratory action of the probes causes a diminishment of electrical sensation by the neuro-receptors allowing stronger currents required to treat cellulite. No matter what your age, or how much muscle definition you desire, everyone gets results. However, the Tri-Phasic Resonator is not only for cellulite reduction. Many slender people want to increase their muscle mass or sculpt their body. Often, relief from muscle strain or increased resilience for those active in sports can be accomplished quickly. The most interesting phenomena associated with triple modalities inherent in the TPR is the effect that the vibratory modality has respective to the electrical current that is employed. The vibratory stimulus overpowers the electrical sensation perceived by the neuro-receptors. The current can then be raised in strength where it would normally become uncomfortable. However, when the vibratory stimulus is activated, electrical sensation is not perceived by the neuro-receptors. Another factor affecting cellulite is vascularization. Studies have demonstrated that cellulite production is greatly affected by tight clothing that contributes to inhibited vascular flow. The combination of electrical activity, and kinetic energy along with the heating element at the probe site has the effect of promoting vascular flow. A very interesting observation, common to all clinical study participants, was that the loss of two inches of physical measurements equated to one-pound weight loss. “We couldn’t believe the difference! I do body building and heard about this equipment. So, I went in for a treatment with my personal trainer by my side. WOW! What takes me three months in a gym, I get in one treatment with the TPR. The definition in my abs is unbelievable.” – Christine H.
“I was headed on a trip and wanted to try these treatments. I went down two sizes in two weeks and looked like I had lifted weights for years.” – Michelle S. “I gave myself these treatments for my 30th birthday. My goal was to lose a few inches – which I did. What I really didn’t expect was how much stronger my muscles would be. I’m an avid runner and could tell a difference in the very 1st treatment. Everyone would benefit from getting this done!” – Jessica P.